Becky Vickers(BECKS) - Everyday Ghost Hunters/Goatman's Bridge Ghost Tours: THE DEVIL BABY!- WHAT IS IT ABOUT THE HULL HOUSE IN CHICAGO THAT SENDS CHILLS DOWN YOUR SPINE??? 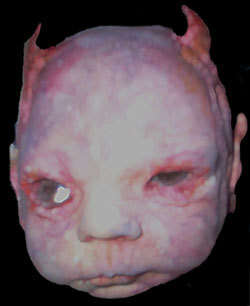 THE DEVIL BABY!- WHAT IS IT ABOUT THE HULL HOUSE IN CHICAGO THAT SENDS CHILLS DOWN YOUR SPINE??? Jane Addams’ Hull House was meant to be a place of refuge for new immigrants. Built in 1856 by Charles Hull, it served many new arrivals and grew to a campus of 13 buildings by the mid-1910s. Jane Addams was a very good person and she tried her best to help those adjusting to life in America. Then, an Italian woman and her husband abandoned their devil baby on her doorstep in 1913. In about six weeks, the news got out and hundreds of people would flock to Hull House to see the little monster. 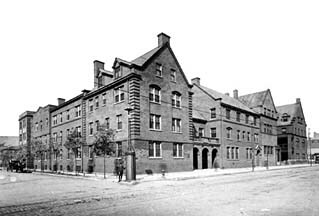 Jane always denied the existence of the child and it’s one of the most common apparitions found in Hull House today. 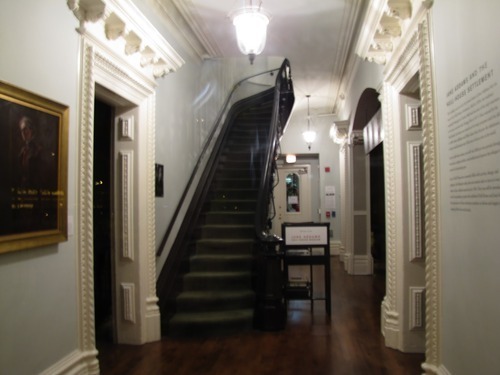 Hull House was haunted before Jane Addams bought it. It was a poor house from 1860 – 1900(?). Many people died on campus, including the wife of Charles Hull. She’s thought to be one of the many spirits still roaming the halls of the main building. Jane often commented on the spirits, but she seem amused, not frightened, by them. Hull House is a museum located on the University of Illinois campus at Halsted and Polk. It now has a very strict code for visiting hours, so you won’t be able to openly ghost hunt for ghostly activities. It remains a popular stop on Chicago’s ghost tours. What kind of ghostly activities can you expect? Devil Baby in upper-left attic window – The little guy looks out on the street below. He’s been reported during the day and night. Apparition on the stairs – A glowing, somewhat human-sized entity is seen ascending the stairs at night. Four monks at the top of the stairs – On the second floor, near the Apparition mentioned above, a group of four monks have been seen. Woman in White – This spirit is the most active of all the ghosts. She is said to drive anyone staying in the room at night. Reportedly, she appears as a semi-transparent, white-light figure near the bed. Some witnesses said it causes poltergeist activity, but this has never been documented in full. Many people have seen her from the street. Girls playing by fountain – At night, you can hear the sounds of a group of girls playing by the fountain. Sometimes, you can feel a cool gust of wind flow by you as the ghostly girls run around the area. The fountain is located just to the south of Hull House. Remember, Hull House is a public museum and you can go in by day for a small admission charge. Keep your ghost hunting activity on the downlow and turn your cameras to infrared scanning. You might just catch something.